You know that horrible smell that hits you in the face when your dog suddenly gives you a kiss or licks your face? It’s that smell that reminds you of a dead animal. Well, it’s not death; however, it is your dog’s breath. That smell of death is due to the lack of cleaning and plaque buildup. Just as people need dental care, so do your pets. 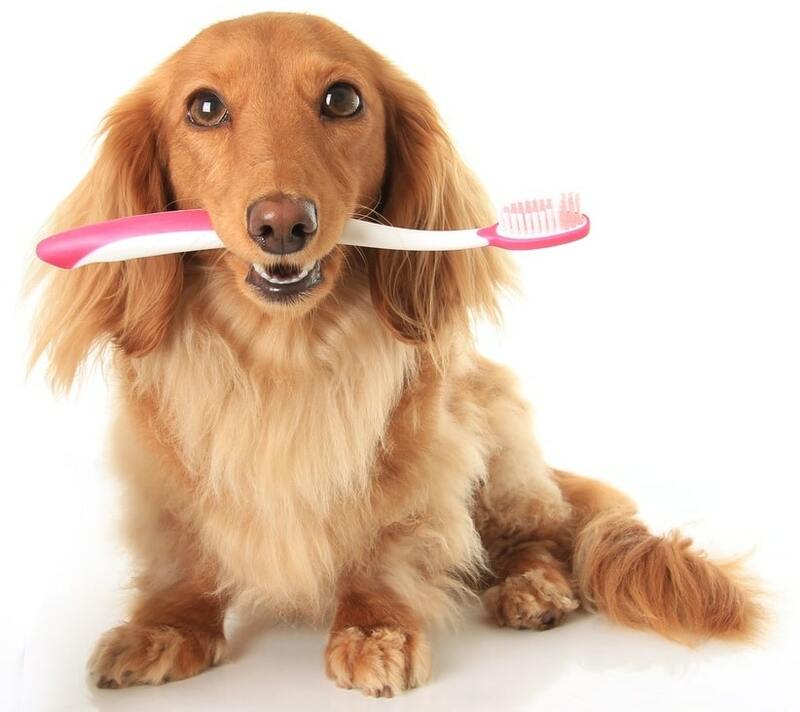 Dogs can have the same dental issues as humans do and require the same thorough cleaning. Heavy cases of gingivitis and plaque buildup need caring for along with applying a healthy diet, regular checkups and daily brushing. Your pet may be displaying typical signs of having dental pain, but without having the means to let you know what the issue is, they continue to hurt. Natural supplements assist you in providing your dog with healthy solutions for prevention of gum diseases. Brushing and flossing your pet’s teeth is an excellent way of helping even when you aren’t clear on what is causing them pain. It’s a tough job parenting dogs all while keeping them healthy. Dogs, especially small ones, are prone to joint pain and dental pain. For joint pain, Glucosamine for dogs is the number one product on the market. For dental pain, good ole fashion cleaning is best for this job. Glucosamine for dogs assist in many ailments dogs may suffer from. For the pain associated with the teeth, this is a totally different problem. Joint pain can be helped, dental problems can only get relief if you fix the tooth or pull it. As the parents to your loyal canine it is your job to provide good health for your pet. The mouth is an important part of the body due to it being a high traffic area for germs. Germs that begin in a dogs mouth can travel to other parts of their body causing pain elsewhere. Even though Glucosamine for dogs is an amazing product for joint pain curing the mouth disease will need to happen before all the pain goes away. Poor dental hygiene can lead to other illnesses in your pet. Other than the mouth, other areas can suffer, such as the liver, heart and kidneys. Here are common problems that create illness in your pooch. Keep in mind that just because the problems begin in their mouth doesn’t mean the diseases can’t travel to other portions of their body causing major illnesses and even death. Plaque is a type of debris, mainly from food leftovers getting stuck between your pet’s teeth. Unlike humans, dogs can’t just sit down and floss on a daily basis. However, their owners can do it for them. Plaque, when confined to the gum line hardens and turns to tartar in a matter of days. To prevent this from happening, it is important that dogs have their teeth brushed every other day, if not on a daily basis. Next articleDo Lip Injections Permanently Change the Look of Your Lips?